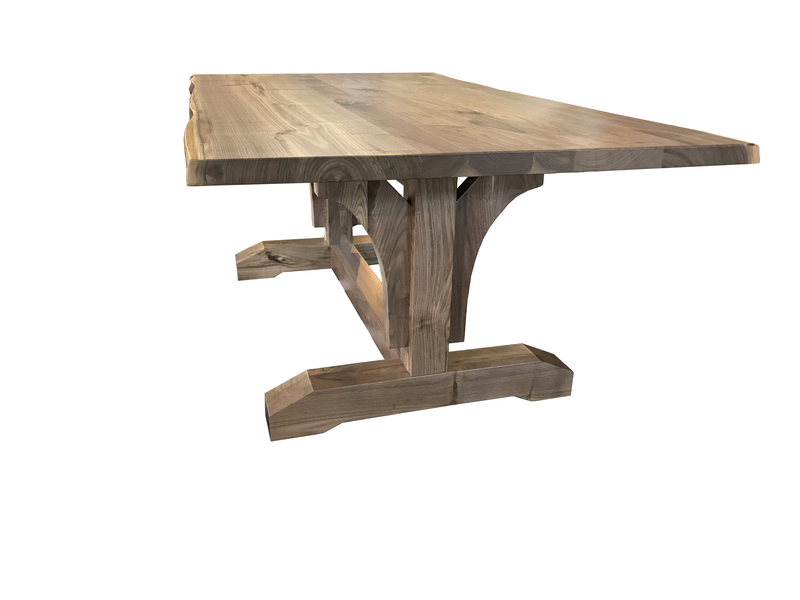 The Wyoming live edge trestle table is shown in rustic Walnut wood and measures 42″ wide x 78″ long. Nobody beat’s our price on live edge Walnut tables, as we have our own forest of Walnut trees! 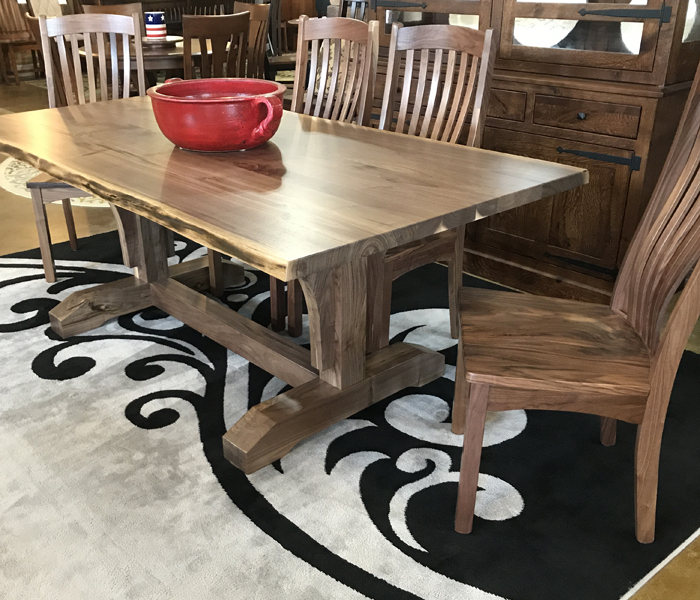 The Wyoming Live edge walnut trestle dining table is shown in “rustic walnut” lumber with all the beauty Mother Nature has to offer. The table is shown with a natural finish and all the knots and open voids are filled with black epoxy. 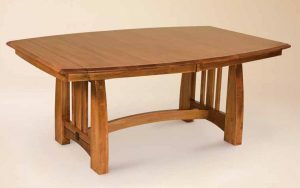 The table measures 42″ wide x 78″ long and the top is 1 3/4″ thick. The lumber is from the same grove of walnut trees that were harvested from our local forest. We replanted thousands of walnut trees this Spring from the “bumper crop” of Walnuts we shoveled up from under trees! 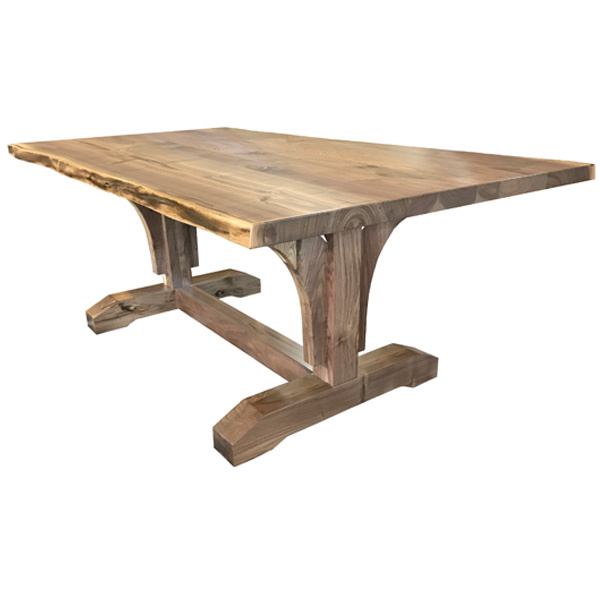 This Wyoming Live edge trestle table with a live edge is a work of art, and each one has different grain patterns. 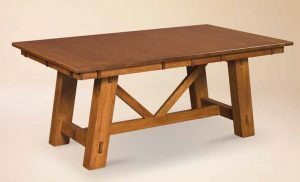 We can make this table from 72″ long up to 120″. 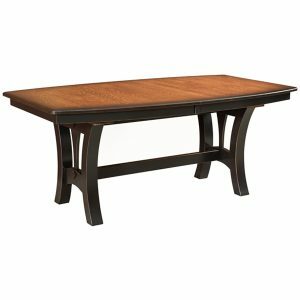 We can custom size very long tables to 17 feet under contract. 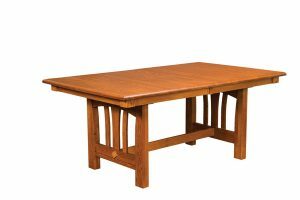 These tables are bid by special request and start at $7000.